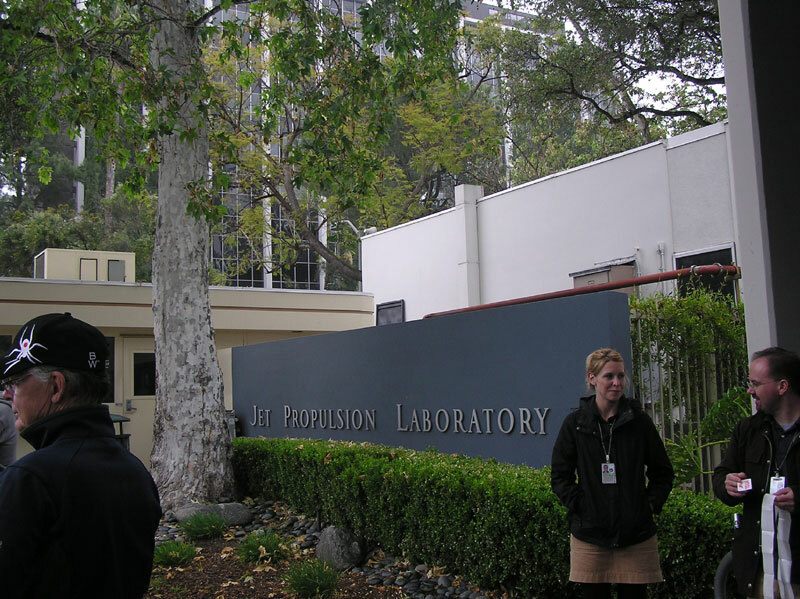 April 23, 2012 - Today's adventure brought us to the Jet Propulsion Laboratory, run by the California Institute of Technology, which is one of ten NASA Science Centers operating with the country. JPL is responsible for all of the robotic, unmanned missions in space. 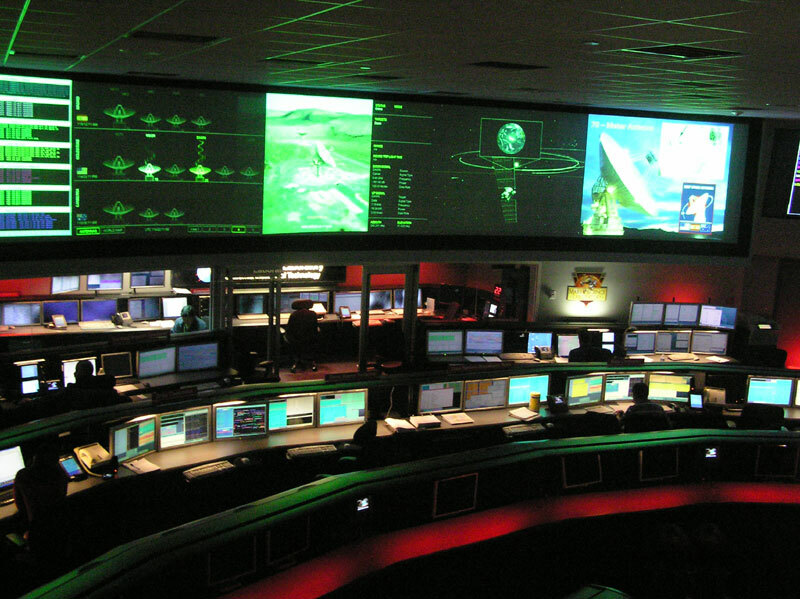 The Johnson Space Center, located in Houston, TX, serves as mission control for all of the manned missions including the International Space Station, the Space Shuttle programs as well as the earlier Apollo and Mercury missions. The Kennedy Space Center in Florida serves as the launch facility for most of NASA's space programs. Our tour guide, Alison, is standing next to the entrance of the JPL Visitors Center. 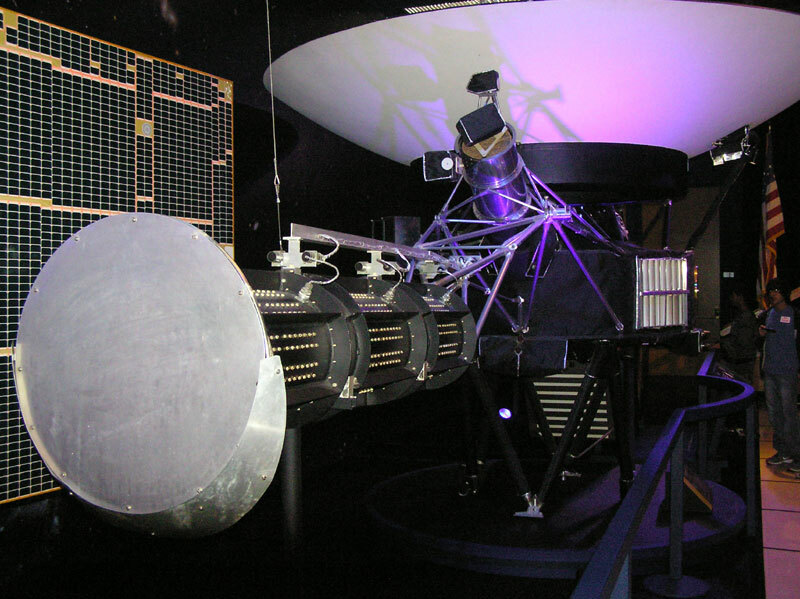 This is a model of the Voyager I and Voyager II spacecrafts, which were both launched in 1977. 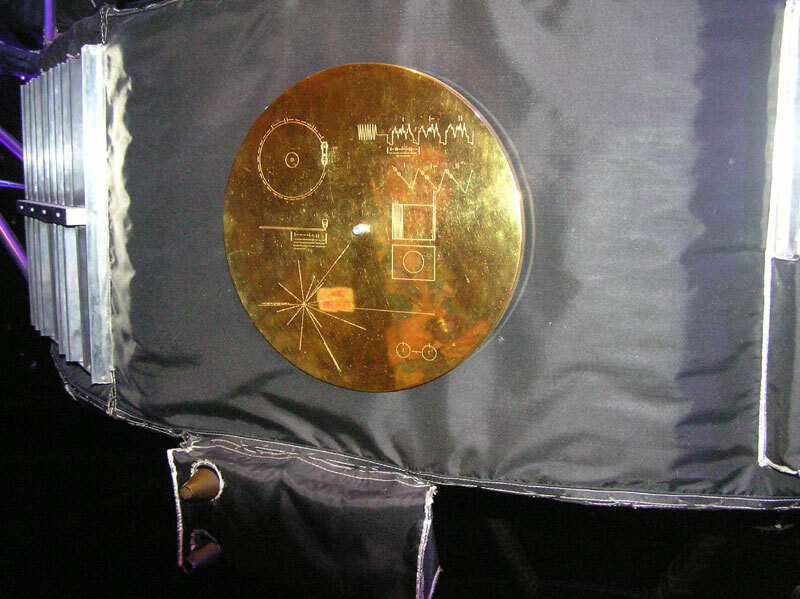 Voyager I and II were identical twins, and each carries a "Golden Record," which is a sort of time capsule telling extraterrestrials about Earth. 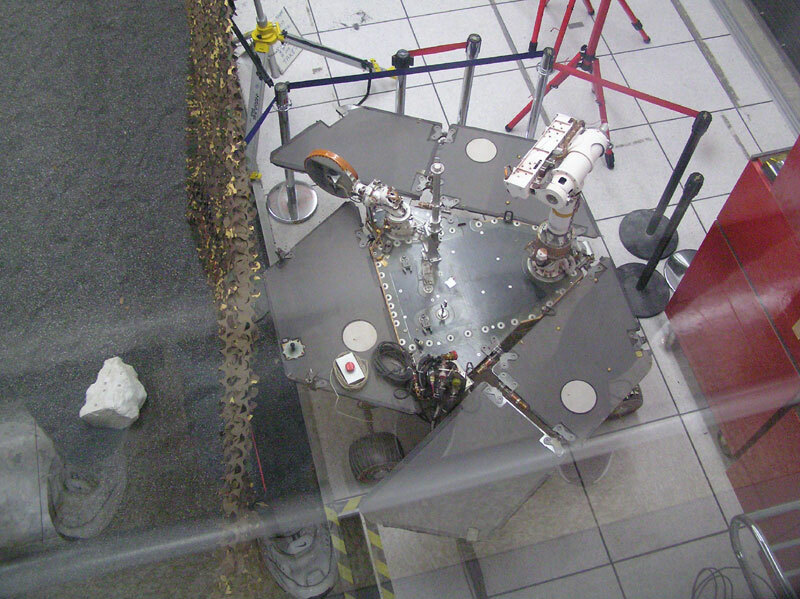 Both space crafts are still operating and are monitored by the JPL. Voyager I is now about 18 billion miles out from the sun at the very edge of our solar system and it should be shortly traveling in interstellar space. 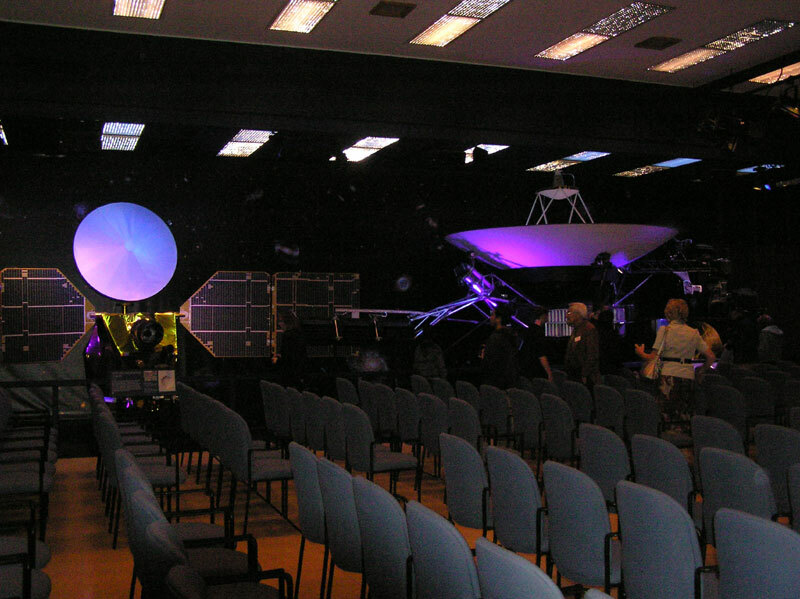 Voyager II is currently about 9 billion miles from the sun. 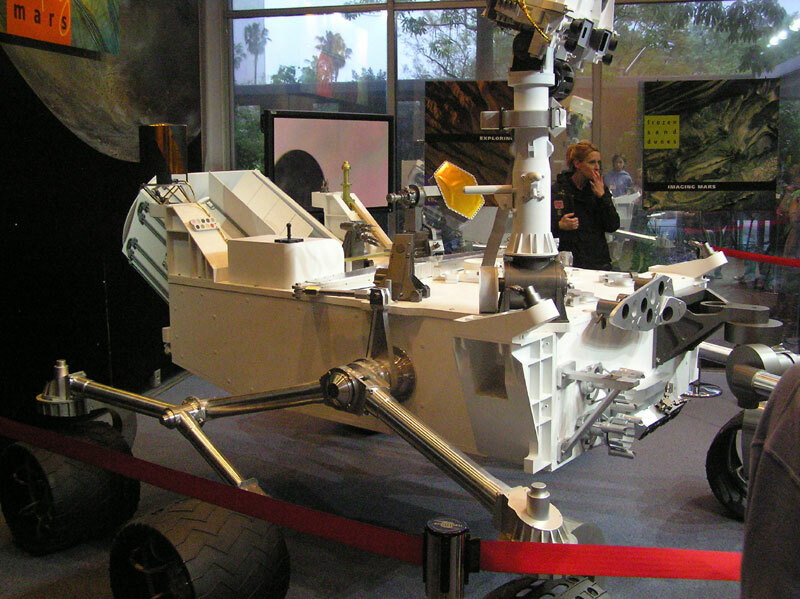 This is a model of another set of twins; the Mars rovers Spirit and Opportunity. 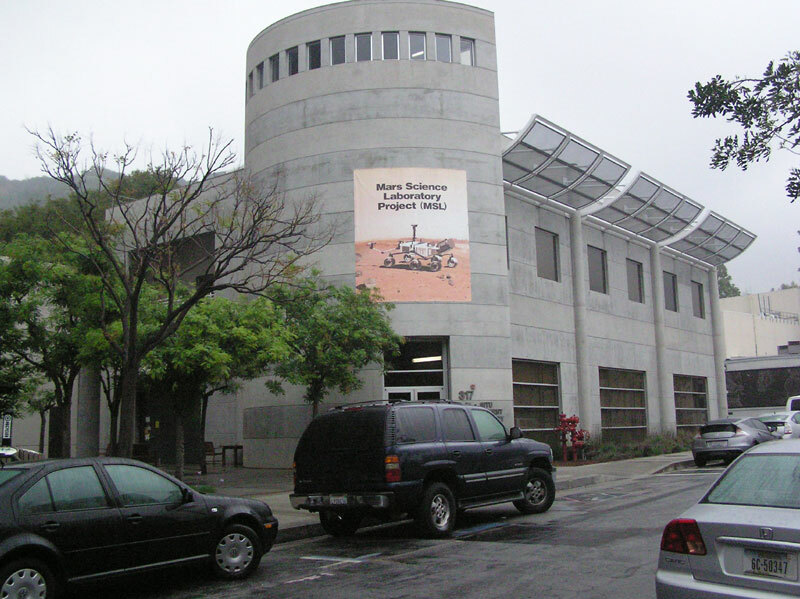 This is the building where the Mars rovers are designed, built and tested. When Spirit and Opportunity were created, they were made exactly identical to each other but, they are actually triplets. 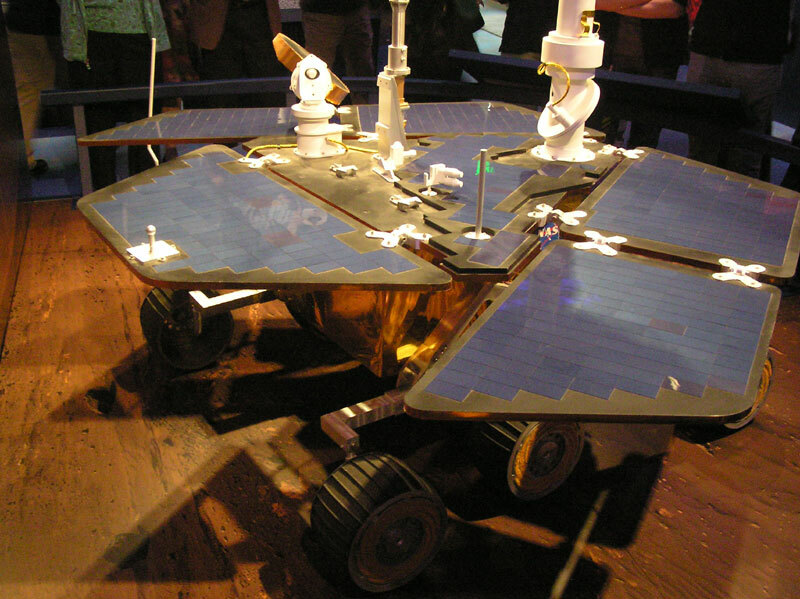 The third rover shown below, matching Spirit and Opportunity, was made such that the JPL scientists here in Pasadena can check any operational problems the rovers may have on Mars. The new Mars rover, Curiosity, is currently speeding towards Mars. 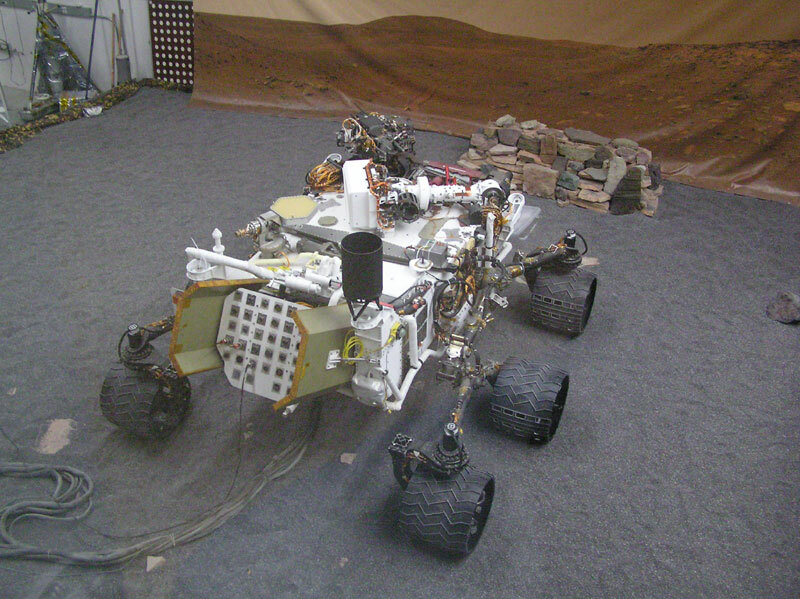 Curiosity is five times the size of Spirit and Opportunity, and it also has an identical twin, shown below, that is also used for analysis if Curiosity develops any problems while on the Mars surface. 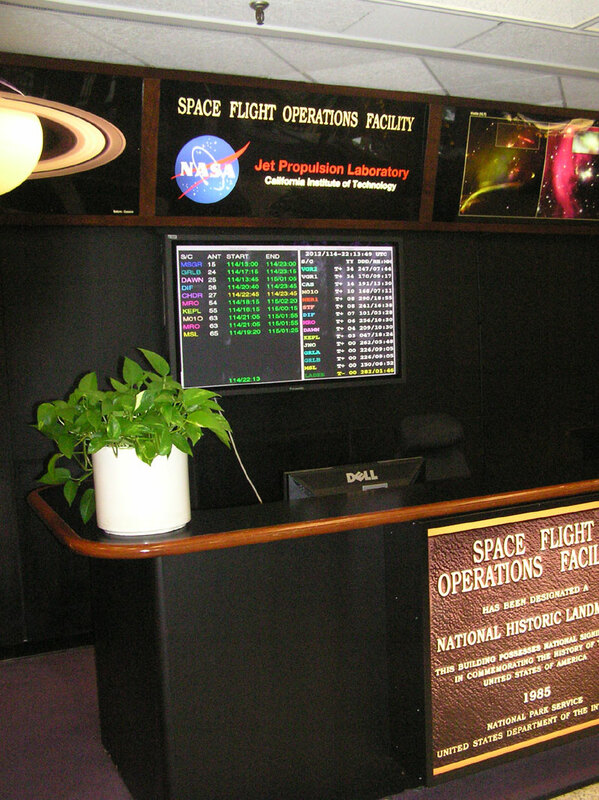 This is the lobby to the mission control center of JPL. There is a model of Curiosity in the lobby. 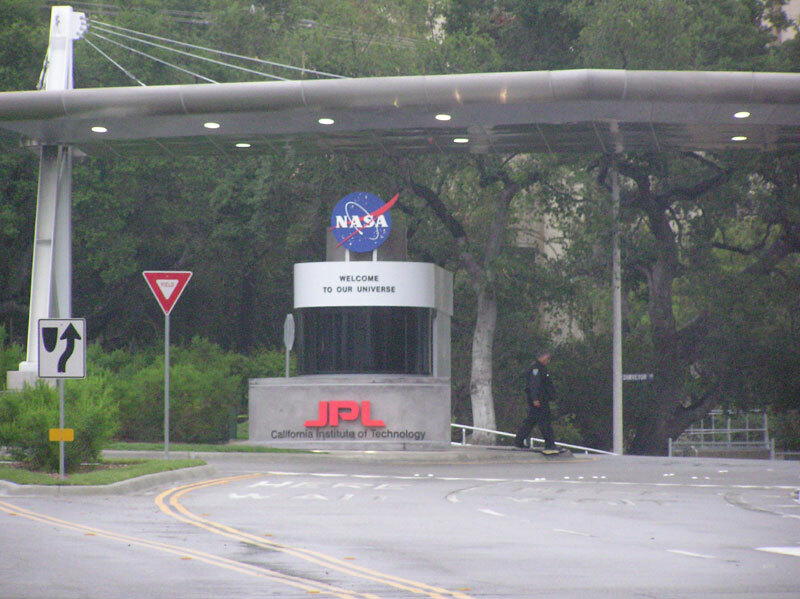 JPL is currently administering 22 separate space missions from here, Mission Control. What a great tour JPL puts on for the public!